On 14 July 2014, the new Federal Telecommunications and Broadcasting Law and the new Law for the Public Broadcasting System of the Mexican State were published in the Official Mexican Gazette. The Federal Telecommunications and Broadcasting Law and the Law for the Public Broadcasting System of the Mexican State supersede the previously enacted Federal Telecommunications Law and the Federal Radio and Television Law. Also, any provisions in the Law on General Communications that conflict with those in the Federal Telecommunications and Broadcasting Law will no longer be in effect. The issuance of the new telecommunications and broadcasting legal framework derives from the constitutional reform published in the Official Mexican Gazette on 11 June 2013. This reform created the Federal Telecommunications Institute as an autonomous public agency, independent in its decisions and function, with its own legal status and resources, for the purpose of regulating and promoting competition and efficient development of the telecommunications and broadcasting sectors. The Institute is responsible for the regulation, promotion and supervision of the use, enjoyment and exploitation of the radio spectrum, orbital resources, satellite services, public telecommunication networks, and broadcasting and telecommunications services, and has the authority to regulate access to active and passive infrastructure, as well as to other essential resources related to such industries. The Federal Telecommunications Institute, which supersedes the previous Federal Telecommunications Commission, is the authority in terms of antitrust matters in broadcasting and telecommunications sectors, for which it shall exercise the powers, set forth in the Mexican Constitution, the Federal Telecommunications and Broadcasting Law and the Federal Competition Law. According to the Federal Telecommunications and Broadcasting Law, the Institute may issue, among others, administrative regulations, licences and authorisations on telecommunications and broadcasting matters and decide on their renewal, modification or revocation, as well as authorising assignments or change of control, title holding or operation of the business entities related to such licences and authorisations. The Ministry of Communications and Transportation shall issue non-binding technical opinions on the matters mentioned above. The Mexican Constitution and the Foreign Investment Law set forth that direct foreign investment is allowed up to 100 per cent for telecommunications and satellite services, and up to 49 per cent for broadcasting services, subject to a standard of reciprocity. The Federal Telecommunications and Broadcasting Law sets forth the current licensing and authorisation regime, which consists of sole licence, licence to use, enjoy or exploit frequency bands of the radio spectrum, licence for the occupation and exploitation of orbital resources, and authorisations. A sole licence shall be required to provide all kinds of telecommunications and broadcasting public services including public Wi-Fi services. The sole licence may be granted for commercial, public, private or social use, for a term of up to 30 years and may be extended for up to equal terms. Statutorily, the Federal Telecommunications Institute shall analyse and assess the documents submitted for this application within a term of 60 calendar days, and the Institute may request additional information when necessary. Once such term has expired and all requirements have been met, according to the Institute, the sole licence shall be granted. On 25 November 2013, the Mexican government published an action plan called Estrategia Digital Nacional with the purpose of providing public broadband internet access through certain programmes, including the Mexico Conectado programme. Generally, the licence to provide such public Wi-Fi services shall be granted through a public bidding process. The licence to use, enjoy or exploit frequency bands of the radio spectrum for a determined use and for the occupation and exploitation of orbital resources, shall be granted for a term of up to 20 years and may be extended for up to equal terms. When the exploitation of the services subject to such licence requires a sole licence, it may be granted in the same administrative act. The licence for the use, enjoyment or exploitation of the radio spectrum for commercial, and in some cases, for private use, shall only be granted through a public auction. The radio spectrum licences for public or social use shall be granted through direct allocation for a term of up to 15 years and may be extended for up to equal terms. This licence shall not be for profit purposes, and licensees shall not share the radio spectrum with third parties. Upon meeting the requirements of this application, the Institute shall resolve accordingly within a term of 120 business days after submitting the application. temporarily use spectrum bands for diplomatic visits. The installation and operation of transmitting earth stations do not require any type of authorisation. These authorisations shall be valid for a term of up to 10 years and may be extended for up to equal terms; the process to obtain such authorisation shall be resolved no later than 30 business days after submitting the application. Once this period expires with no resolution from the Institute, the authorisation shall be considered as granted. According to the Federal Telecommunications and Broadcasting Law, current licensees may obtain authorisation from the Institute to provide additional services to those indicated in the original licence or to migrate to a sole licence. authorisation to provide an additional service to those indicated in the original licence that use the radio spectrum, 20,582.74 pesos, and that do not use the radio spectrum, 7,525.63 pesos. Spectrum licences granted for commercial or private use shall contain, among other things, the permitted frequency band subject to the licence, usage terms and geographic coverage zone where they shall be used, enjoyed or exploited. Only the spectrum licences granted for commercial or, in some cases, for private use, may be assigned to third parties with prior authorisation from the Federal Telecommunications Institute. Licensed spectrum is generally not tradable. refrain from establishing contractual or any other type of barriers to prevent other licensees from installing or accessing telecommunications infrastructure in shared real estate properties. Licensees of public telecommunications networks providing mobile services may freely sign agreements regarding visiting user services; the execution of such agreements shall be mandatory to preponderant economic agents in the telecommunications sector or agents with substantial power (as those terms are defined hereinafter). Also, the Federal Telecommunications and Broadcasting Law sets forth that public telecommunications network licensees shall adopt a transparent approach to guarantee interconnection and interoperability of their networks with other licensees, in a non-discriminatory basis. The Federal Telecommunications Institute is vested with the authority to determine the existence of preponderant economic agents in broadcasting and telecommunications sectors, and to impose the measures deemed necessary to allow competition and free market participation. These measures may include, among others, service offer and quality, exclusive agreements, usage limitations on telecommunications terminal equipment, asymmetric regulation on tariffs and network infrastructure, including unbundling of essential resources and accounting, functional or structural separation of such agents. The Institute shall define economic agents who have, directly or indirectly, a national market participation of more than 50 per cent in telecommunications and broadcasting services, as preponderant. Market participation shall be measured by number of users, audience, network traffic or capacity used. Furthermore, the Institute shall declare whether an economic agent has substantial power in telecommunications and broadcasting relevant markets, pursuant to the procedure established in the Federal Competition Law. Also, the Federal Telecommunications Institute is empowered to declare, at any time, preponderant economic agents, as well as economic agents with substantial power in any of the relevant markets of the telecommunications and broadcasting sectors. Preponderant economic agents in the telecommunication sector or agents with substantial power shall be subject, among other things, to the following obligations: to register with the Institute a list of unbundled interconnection services, to submit before the Institute at least once a year, to separate accounting and cost-accounting of interconnection services, and not to carry out practices that prevent or limit the efficient use of infrastructure devoted to interconnection. For the purposes of promoting competition, the Institute has the authority to impose specific obligations and limitations on agents with substantial power on matters regarding information, quality, rates, commercial offers and billing. As mentioned in question 4, structural and functional separation has been introduced in the Federal Telecommunications and Broadcasting Law, thus the Institute may impose measures to promote competition in such sectors, including asymmetric regulation, such as unbundling of essential resources and functional or structural separation of preponderant economic agents. The Law defines ‘unbundling’ as the separation of physical elements, including fibre optic, technical and logical, functions or services of the local networks of the preponderant economic agent in the telecommunications sector, or of the agent with national substantial power in the relevant market of access services to end users. The Institute also has the authority to establish measures and impose specific obligations to allow the effective unbundling of the local networks of the preponderant economic agent in the telecommunications sector or the agent with national substantial power in the relevant market of access services to end users. Breaching or violating the Institute’s resolutions regarding local network unbundling, divestiture of assets, rights or other necessary resources or breach of asymmetric regulation, may result in the revocation of the corresponding licences and authorisations. The Mexican Constitution and the Federal Telecommunications and Broadcasting Law impose upon the state certain responsibilities regarding public telecommunications services. The state shall guarantee that telecommunication services, including broadband and internet, are provided under conditions of competition, quality, plurality, universal coverage, interconnection, convergence, continuity and free access. The Mexican Constitution defines ‘universal coverage’ as general public access to telecommunications services that shall be subject to availability, affordability and accessibility conditions. Consequently, the Ministry of Communications and Transportation shall prepare annually a social coverage programme and a public connectivity programme. The purpose of these social programmes is to increase network coverage and penetration of telecommunications services in such priority areas as determined by the Ministry. The sole licence and spectrum licence for commercial and private use shall consider, among others, the programmes and commitments regarding investments, quality, geographic, demographic or social coverage zones, public connectivity and contribution to universal coverage determined by the Institute in considering the annual programmes prepared by the Ministry. In 2002, pursuant to the provisions set forth in the previous Federal Telecommunications Law, a telecommunications social coverage fund was created to ensure the provision of telecommunications services in Mexican territory and to offer funding to public telecommunications network licensees aimed at rural communities. To this end, the Mexican Congress approved funding for the Telecommunications Social Coverage Fund, which is governed by a technical committee composed of six federal government representatives. The Federal Telecommunications and Broadcasting Law grants the Federal Telecommunications Institute the authority to create, update and manage the technical plan for number allocation. Such plan sets forth that licensees and authorised telecommunication service providers shall obtain number allocation by submitting an application before the Federal Telecommunications Institute. In general, such request shall be submitted at least three or four months (depending on the type of number allocation requested) before the date on which such number allocation is intended to be used. The process of obtaining number allocation shall be resolved no later than 60 business days after submitting the application. In order to determine whether the requested number allocation proceeds, the Federal Telecommunications Institute shall take into account the following: use given to previous number allocations, and number availability. The Federal Telecommunications and Broadcasting Law sets forth that users have the right to keep the same telephone number when changing service provider. Effective portability shall be completed within a period not exceeding 24 hours upon submitting the corresponding application to the service provider. This provision entered into force on 10 February 2015. Customers are entitled to the rights provided for in the Federal Telecommunications and Broadcasting Law, the Federal Consumer Protection Law and the Data Protection Law. In general, customers have the right, among others, to execute and have knowledge of the commercial conditions set forth in the standard form contract registered before the Consumer Protection Agency. Such standard form contract shall be registered with the agency and shall comply with the provisions of the Federal Telecommunications and Broadcasting Law, the Federal Consumer Protection Law and other applicable provisions. Also, pursuant to the Data Protection Law, agreements shall comply with provisions thereof and customers shall be afforded the rights thereunder. transparency and information: providers shall publish on their web page the information regarding the features of the service offered, including traffic management policies and network administration authorised by the Institute, as well as the speed, quality, nature and guaranteed service. Although ‘zero rating’ of data transmission could affect the guidelines and regulations on net neutrality mentioned above, and provided for in the Federal Telecommunications and Broadcasting Law, leading mobile telephone companies in Mexico have expanded their offerings of free navigation for social networks, messaging applications and other online services. 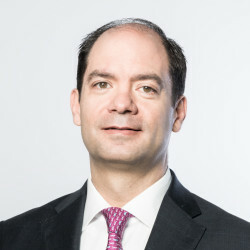 The foregoing derives from the fact that the Federal Telecommunications Institute has not determined whether these offers affect or contravene the provision of the law. Bandwidth throttling is not permitted. In Mexico, there are no laws or regulations that currently regulate digital platforms specifically. 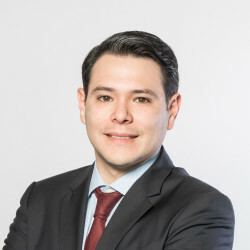 The Mexican FinTech Law was published in the Official Mexican Gazette on 9 March 2018 (effective as of the following day), with the purpose of regulating financial services provided by financial technology companies or institutions, their organisation and operation. Also, there are initiatives under discussion on this matter regarding regulating digital platforms that provide transportation services. There is no specific regulation regarding NGA networks nor are there government financial schemes to promote broadband penetration in Mexican territory; however, the Mexican Constitution and the Federal Telecommunications and Broadcasting Law set forth that the executive branch shall publish the broadcasting and telecommunications policies and perform actions to ensure broadband internet access in buildings and facilities of the federal government; each state shall do the same in their own jurisdiction. digital location of the geographic positioning of the corresponding telephone lines. For these purposes, the licensee shall keep the information referred to in the paragraph above, during the first 12 months, in systems that allow real-time analysis and delivery to competent authorities through electronic media. Upon completion of said period, the licensee shall keep the information for an additional 12 months in electronic storage systems, in which case, delivery of such information to the competent authorities shall take place within 48 hours upon request notification. In general, the protection, processing and control of personal data are governed by the Data Protection Law, which sets forth that processing of personal information is subject to the consent of the owner. Such consent may be implied, which is sufficient to process general personal data, whereas express consent is required to process financial information, and written consent is required to process sensitive information. In Mexico, there are no laws or regulations that currently regulate cybersecurity specifically. On 13 November 2017, the Mexican government published the Cybersecurity National Strategy. This strategy defines objectives and cross-cutting themes and reflects the guiding principles regarding the articulation of efforts from individuals, civil society, and private and public organisations in the field of cybersecurity. Additionally, in October 2017, the Mexican government created the Cybersecurity Sub-Commission, chaired by the Ministry of the Interior. In Mexico, there are no laws or regulations that currently regulate big data specifically; also there have not been any relevant initiatives on this matter. Companies seeking to participate in big data operations shall ensure that their proposed activities comply with the Data Protection Law that is applicable to the data involved in their operations. In Mexico, there are no laws or regulations that currently regulate data localisation specifically. The Data Protection Law allows cross-border transfers of personal information, provided that the data subject gives informed prior consent. In Mexico, communications and media sectors fall under the same legal framework; therefore, issues regarding emerging trends and hot topics will be addressed in question 25. As mentioned in question 1, the key regulatory framework for the media sector in Mexico is comprised in the following statutes, the Federal Telecommunications and Broadcasting Law, the Law for the Public Broadcasting System of the Mexican State and the Law on General Communications. According to said regulatory framework, the Institute is vested with the authority to regulate, promote and oversee the use, enjoyment and exploitation of the radio spectrum, orbital resources, satellite services, public telecommunications networks, and broadcasting and telecommunications provisions. As mentioned in the answer to question 2, the Institute is empowered to grant, revoke, renew or modify licences and authorisations on broadcasting and telecommunications sectors, as well as to authorise assignments or changes of control of licensed and authorised individuals or business entities. The Institute also has the authority to regulate matters related to antitrust and fair trading in such sectors. According to the Foreign Investment Law, direct foreign investment is allowed up to 49 per cent for both broadcasting services, subject to a standard of reciprocity, and printing and publishing newspapers for distribution in Mexican territory. There is no specific regulation regarding cross-ownership of newspaper companies and telecommunications and broadcasting companies. However, the Federal Telecommunications and Broadcasting Law sets limits regarding broadcasting and telecommunications licensees that prevent or restrict access to plural information in the same market or in the same geographic coverage zone. For that purpose, the Institute shall order pay-television licensees to include in their service those channels that carry news or information programmes of public interest, in order to guarantee access to plural information in a timely manner. Also, pay-television licensees shall include at least three channels, in which the content is predominantly produced by national independent programmers, whose funding is mostly Mexican in origin. As mentioned in questions 1 and 2, pursuant to the Federal Telecommunications and Broadcasting Law, the Institute is empowered to grant the sole licence. The sole licence grants the right to provide, in a convergent manner, all kinds of public telecommunications and broadcasting services. The licensee requiring the use of frequency bands of the radio spectrum for broadcasting purposes shall obtain the appropriate licence separately. The sole licence shall be granted for commercial, public, private or social use for a term of up to 30 years and may be extended for up to equal terms. The interested party in obtaining a sole licence shall submit a request containing, at least, the following information: name and address of the applicant, general characteristics of the project, and documents and information attesting their technical, legal and administrative conditions. To obtain the sole licence from the Institute shall take a minimum of 60 calendar days upon submitting the application; however, the Institute may request additional information where necessary. Once the agency has concluded the analysis and assessment of the documents submitted for this application within such period, and all requirements have been met, the sole licence shall be granted. The services provided by the licensees shall not grant the privilege or distinction to create any kind of discrimination, and in the case of individuals, all discrimination motivated by ethnic or national origin, gender, age, disability, social background, health condition, religion, sexual orientation, marital status or anything else that undermines human dignity or with the purpose of nullifying or impairing the rights and freedoms of individuals shall be prohibited. The spectrum licence for broadcasting purposes shall be granted for a term of up to 20 years and may be extended for up to equal terms. This licence for commercial and, in some cases, for private use, shall be granted only through public auctions with prior payment of the corresponding fee. When requesting a spectrum licence to provide broadcasting services that involves the participation of foreign investment, a prior and favourable opinion shall be required from the Foreign Investment Commission, and this agency shall verify the limits of foreign investment set forth in the Mexican Constitution and the Foreign Investment Law. consistency with the licence programme. There is no specific regulation that restricts or limits the amount of local or foreign content broadcasted. However, the Federal Telecommunications and Broadcasting Law sets forth certain rules and incentives regarding content requirements that shall be followed by licensees. Broadcasted programming shall promote, among other things, family integration; sound child development; artistic, historical and cultural principles; and equality between men and women. foster interest in knowledge, particularly with regard to scientific, artistic and social matters. Broadcasting licensees shall use the Spanish language in their transmissions; if transmissions are in a foreign language, subtitles or translation into Spanish shall be used. The use of foreign languages without subtitles and translation into Spanish may be authorised by the Ministry of Interior. Pay television and audio licensees shall retransmit broadcasting signals of federal institutions free of charge, and shall reserve channels for the transmission of television signals from federal institutions, as indicated by the executive branch, pursuant to the following: one channel, when the service contains between 31 and 37 channels, two channels, when the service contains between 38 and 45 channels, and three channels, when the service contains between 46 and 64 channels. If there are more than 64 channels, the reserve shall increase by one channel for every 32 channels. When the service contains up to 30 channels, the Ministry of Communications and Transportation may require that a specific channel devote up to six hours daily to transmit programming indicated by the Ministry of the Interior. The incentives for licensees regarding local content programming are that those covering at least 20 per cent of their programming with national production may increase advertising time up to two percentage points, and those covering at least 20 per cent of their programming with national independent production may increase advertising time up to five percentage points. The Federal Telecommunications and Broadcasting Law sets forth that broadcasting, pay television, programmers and signal operator licensees shall maintain a prudent balance between advertising and programming transmitted daily. Broadcasting licensees shall apply, among others, the following rules: that in television stations, commercial advertising time shall not exceed 18 per cent of the total transmission time per channel, and in radio stations, commercial advertising time shall not exceed 40 per cent of the total transmission time per channel. Pay television licensees shall transmit, daily and per channel, up to six minutes of publicity in every hour of transmission. For this purpose, publicity contained in retransmitted broadcast signals and own channel advertising shall not be deemed as publicity. Broadcast television service licensees shall enable pay television service licensees to retransmit their signal, free of charge and in a non-discriminatory manner, within the same geographic coverage zone, in full, simultaneously and without any changes, including advertising, and with the same quality of the broadcast signal. Pay television service licensees shall also retransmit the broadcast television signal, free of charge and in a non-discriminatory manner, within the same geographic coverage zone, in full, simultaneously and without changes, including advertising and with the same quality of the broadcasted signal, and shall include such retransmission in their services, with no additional cost. Satellite pay television service licensees shall only retransmit broadcast signals with coverage of 50 per cent or more of the Mexican territory. All pay-television licensees shall retransmit broadcast signals by federal institutions. Public telecommunications networks or broadcasting television licensees, declared by the Institute as agents with substantial power in either market or as a preponderant economic agent, shall not be entitled to the gratuitous rule of retransmitting signals and under no circumstance shall this be reflected as an additional cost of the services provided to users. There is no specific regulation regarding new media content; however, the right to information, expression and to receive content through public broadcasting services and pay television services is free, and shall not be subject to any judicial or administrative prosecution or investigation, nor any limitation or prior censorship, and shall be exercised in accordance with the provisions of the Mexican Constitution, international treaties and applicable laws. The transition to digital broadcasting went into effect on 31 December 2015. Original licensees to use the 700MHz frequency band freed up by the switchover shall return them to the Mexican government. At least 90MHz of spectrum freed up by the digital switchover shall be reallocated to the shared public telecommunications network known as Red Compartida. fixed DTT services shall be transmitted in standard definition quality. On 17 February 2015, the General Guidelines for Multi-Channelling Access were published in the Official Mexican Gazette for the purpose of regulating the authorisation and operating conditions for multi-channelling access. Such authorisation shall be granted by the Federal Telecommunications Institute. Broadcasting licensees with access to television multi-channelling shall transmit at least one channel in high-definition quality, in accordance with the terms provided for in the policy for the transition to DTT. No specific media plurality rules are in place. The Mexican Constitution sets forth that the state shall guarantee that telecommunications and broadcasting services are provided, subject to, among other conditions, competition, quality and plurality. Also, the Federal Telecommunications and Broadcasting Law sets forth provisions regarding cross-ownership and rights of the audience, in which plurality is contemplated. Such rights include providing the users with the benefits of culture, plurality and authenticity of the information. As mentioned in question 18, this law requires certain conduct from licensees regarding cross-ownership, which shall not refrain or limit access to plural information. During 2017, the Federal Telecommunications Institute auctioned 148 commercial television channels, granting licences to 13 winners of 32 television channels, which shall start operations around mid-2018. These bidding processes were conducted through remote electronic systems and, to date, have raised more than 614 million Mexican pesos. Additionally, 141 new radio stations started or will start operations this year. On 21 March 2018, the shared public telecommunications network known as Red Compartida started operations with more than 30 per cent coverage in the country. Coverage of 85 per cent of the country is expected by the end of 2021 and the project should be completed before January 2024 with 92.2 per cent of coverage. The Federal Telecommunications Institute is vested with the authority, as an autonomous body, independent in its decisions and functions, to regulate the communications and media sectors in Mexico. The Institute also has the authority in antitrust matters related to telecommunications and broadcasting sectors, in accordance with the Federal Competition Law. General rules and actions from the Institute may be challenged as a matter of law or procedure only through an indirect amparo trial and shall not be subject to injunction. This trial shall be heard by specialised judges and courts in matters regarding antitrust, telecommunications and broadcasting. In August 2017, the Supreme Court ruled that the Federal Telecommunications Institute is the sole legislator in matters pertaining to telecoms and media. Such ruling resulted in the elimination of the zero interconnection rate, which was an asymmetric resolution imposed by the Congress (not by the Federal Telecommunications Institute) on the preponderant economic agent in the telecommunications industry. Subsequently, the Institute imposed a new interconnection rate on the preponderant economic agent in the telecommunications industry; however, such rate resulted in more than a 50 per cent decrease of the asymmetric regulation previously imposed on such preponderant economic agent. Competitors of the telecommunications preponderant economic agent have expressed their disappointment and dissatisfaction with the new interconnection rate. Also, several telecommunications network operators complained to the Federal Telecommunications Institute about various defaults of the obligations imposed on the telecommunications preponderant economic agent, without any sanctions. On 27 February 2018, the Federal Telecommunications Institute approved the unbundling plan for the preponderant economic agent in the telecommunications industry, known as the Functional Unbundling Plan. According to this plan, the new company shall exclusively provide wholesale services. In April 2017, after six years of deliberation, the Federal Telecommunications Institute imposed an economic sanction on the preponderant economic agent in the telecommunications industry for breaching its licence, which expressly prohibits the direct or indirect offering of television services. Nader, Hayaux & Goebel (NHG) is a market leader in mergers and acquisitions, banking and finance, securities and capital markets, structured finance, telecom, tax, insurance and reinsurance, project finance, real estate, energy and infrastructure, restructurings and workouts, real estate, government procurement and antitrust.